You are currently browsing the The Pet Product Guru blog archives for December, 2018. Should All Service Dogs Be Allowed in Restaurants? At dinner last night the conversation came up about so called service dogs being allowed in all restaurants including those that are more formal or upscale. The problem is that the term “service dog” has been stretched so to speak. It’s pretty easy to register a dog as a service dog but are they, really? The Miami Herald published an article relating to this subject in 2017. 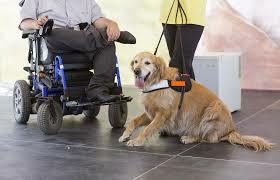 Service dogs have to be trained to provide certain functions to help persons with disabilities. In my opinion, the rule needs to be made more clear and there should be something more than a harness provided when taking a service dog into any establishment. All businesses should be able to ask for supporting documentation. Currently certain establishments such as restaurants can ask but lots don’t. Below you may read a part of the article. Employees in Florida restaurants have to uncomfortable tasks of asking patrons whether their dog is really a service dog. but most don’t. A service animal, according to the state of Florida, is any animal trained to provide assistance to a disabled person. The person in charge of a service animal is required by state law to keep it under control. A restaurant can only remove a service animal if it is aggressive towards other patrons or if it has had an accident, said business attorney Michelle Suarez, a partner at Odroniec Suarez in Fort Lauderdale. Mario Padrino, who owns five Padrino’s Cuban Cuisine restaurants across Florida, recently asked Marra for legal advice regarding service animals in the restaurants. Padrino and other business and restaurant owners are hesitant to ask customers whether their dogs are indeed service animals. Target does not permit non-service dogs in its stores, Welker said. “If a guest tells a team member that their dog isn’t a service dog, the team member should tell the guest that Target’s policy is only to accommodate service animals in our stores, so the guests would be asked to leave,” she said. The greatest oldies are playing all the time on Edgewater Gold Radio! Hear the 50s 60s 70s and 80s all the time. Listen to Edgewater Gold Radio on Alexa just say “play Edgewater Gold Radio or download the free Edgewater Gold Radio app! add comment Comments Off on Should All Service Dogs Be Allowed in Restaurants? The Pet Product Guru – 10 Years and Still Going Strong! It’s hard to believe that going into 2019 marks 10 years since I began publishing this blog! It all started in 2009 when I felt the need to communicate tips, tricks and heartwarming stories about our beloved pets. Too many people love the cuteness of a dog or a cat but have no idea how to care for it. This results is so many pets being returned to shelters and many are euthanized because of very negligent, uninformed owners. We strive to communicate that our pets are part of our family. As I sit here and reflect about the life of my beloved cat Molly who passed away this year, I realize how lucky I’ve been to have her with us for 19 years. She has certainly provided me with so much unconditional love and we provided her with a very good life! We miss her very much. This blog also helps us appreciate our pets and treat them the way they deserve t0 be treated. This included feeding, shelter, and yes how to love and care for them. I will continue to provide you with interesting information and heartwarming stories about our pets in 2019. So we welcome you into our tenth year and have a wonderful 2019! 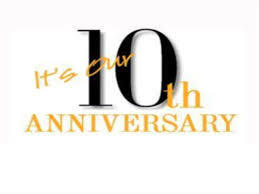 add comment Comments Off on The Pet Product Guru – 10 Years and Still Going Strong! Imagine, that you walk into a rest room only to find it filthy, smelly and unsanitary. Would you use it or run out as fast as you can? I would probably guess that the latter would be your answer. How do you think that your cat feels when their litter is a a dirty, smelly mess? Not only does unsanitary litter pose health risks to your feline friends but it will cause your cat to eliminate elsewhere. Some of these places could be on your rug, in your laundry or even in your bed. It is your responsibility to provide a healthy, safe home for your pet. If you are too lazy to keep the little box clean, then it would be better not to have a cat. 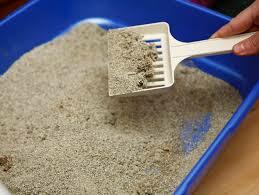 Kitty litter should be scooped every day and changed once a week to get rid of the urine. I use flushable kitty litter. It is more expensive but you can scoop the urine which clumps up along with everything else. This keeps the box cleaner for a much longer period of time. Don’t be lazy, keep your kitty litter clean all the time. You cat will be delighted! It’s a 60s and 70s weekend on Edgewater Gold Radio! Enjoy the best music and the best oldies! Download our free Edgewater Gold Radio app or listen from our website, Edgewatergoldradio.com. 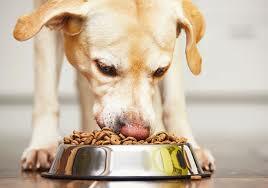 If you’re a new dog owner, the first priority is making sure you’re feeding him properly. It’s important that you feed a mix of quality dog foods in the right amounts. Dr. Jennifer Coates, of Pet MD has put together a very useful guide on this topic. You can read the article below and use the chart to select the correct portion amounts. Unfortunately, there is no easy way to figure out exactly how much individual dogs should be eating. Determining the correct size for meals depends on the type of food dogs are fed, how many times a day they eat, their size, their metabolic rate, the amount of exercise they get, and more. Unless stated otherwise, these amounts are the total that is recommended for your dog over a 24 hour period. Most adult dogs should eat two meals a day (puppies often require three or more feedings), so you’ll need to divide the amount in the table by the number of meals you are offering. Combine this information with your knowledge of your dog’s lifestyle to come up with the initial amount of food you are going to offer your dog. If I had a relatively inactive 35 pound Corgi who had a tendency to gain weight, I might start with 2 cups of food per day. On the other hand, if my dog was a hyper 35 pound Border Collie, I would feed a little more. Have an “hourglass” figure when looked down upon from above. The abdomen should be narrower than the chest and hips. Are “tucked up” when looked at from the side. This means that a dog’s chest is closer to the ground than his belly when he is standing. Every time you change dog foods you will have to go through this entire process again. Talk to your veterinarian if you have any questions about your dog’s health or diet. The doctor can help you determine exactly how much your dog should be eating based on the specifics of the case. Enjoy your last weekend of 2019 with the best oldies! Edgewater Gold Radio is playing great oldies for 17 years! Join us for our 60s and 70s weekend! Download the free Edgewater Gold Radio app or listen from our website: Edgewatergoldradio.com. Thinking of Adopting a Shih-Tzu? 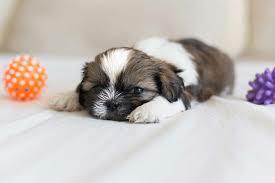 Shih-Tzu’s are active, playful and friendly dogs. They do have some stubborn tendencies but this behavior can be easily corrected by giving them small treats and their favorite toys. If you live in an apartment that accepts pets, these dogs are perfect. They do very well with children but can be intimidated by other dogs causing defensive barking which can lead to confrontations. The Shih Tzu was a breed that was created in Tibet during the seventeenth century. The development of the Shih Tzu was achieved by the crossbreeding of the Lhasa Apso and Pekingese breeds. The Shih-Tzu did not come to the United States until after World War 2 when they were brought back with American soldiers. This breed received official American Kennel Club recognition in 1969. Keep your oldies playing all the time! Edgewater Gold Radio is your place for the best oldies from the 50s through the 80s. The best music on the best station! Download the Edgewater Gold Radio app from your app store. Listen on our website: edgewatergoldradio.com. add comment Comments Off on Thinking of Adopting a Shih-Tzu? Mojo was the sweetest dog ever! About two years ago my brother and sister-in law lost their beloved dog Yankee. Yankee had been with them for almost 15 years but succumbed to multiple health problems. My brother also volunteers at a local animal shelter and several months after he lost Yankee, he decided to adopt an older dog. Adopting an older dog can be very rewarding because you’re giving a new life to a poor animal that is coming toward the end of their days. My brother decided to adopt a sweet older dog named Mojo. On Christmas Eve, Mojo began having seizures and trouble breathing. During the course of a short period of time, Mojo had about five seizures. My brother took him to the Animal Hospital where he was told that Mojo was bleeding internally. The only option was exploratory surgery and they couldn’t guarantee that Mojo would survive it. My brother did the right thing and decided to have Mojo euthanized. It was obvious that he was really suffering .The doctors at the hospital confirmed his decision. My brother and sister in law are broken hearted over the loss of their beloved pet. Even though they had Mojo for only two years, the unconditional love and affection he provided was as strong as having a pet for 15 plus years. I met Mojo on Thanksgiving and he was one of the sweetest dogs ever. He was comfortable, content and obviously enjoying his home. It’s wonderful to provide an older animal with a good home but always remember, that love transcends time. Just because the pet won’t be with you as long as a younger one would, you’ll still love them just as you would a younger pet. We will all miss Mojo but are glad the end of his life was great ! Edgewater Gold Radio is your station for the best oldies of all time. It’s the best oldies on the best station! Edgewater Gold Radio! Listen from our website: edgewatergoldradio.com. Well it’s here! Christmas 2018 and boy did this year fly. Every year I reflect back on the year and this year is bitter sweet. We always find things to be thankful for and there are usually many. This year I lost my precious Molly my sweet cat for 19 years. I’m thankful for the many wonderful years that I was able to spend with her! I’m thankful for the life we’re living here at the Delaware beaches and of course all of my wonderful neighbors, family, friends and colleagues. I wish you all the best this year. Be thankful and appreciate all the love and joy your precious pets give to you each day! 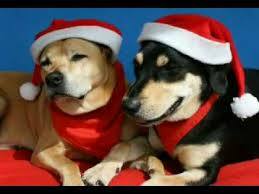 Merry Christmas from The Pet Product Guru. Look for more informative, interesting blog posts in 2019! Keep the music playing. Edgewater Gold Radio we’ll keep you entertained for the holiday. Don’t miss the 36 hours for Christmas beginning Chirstmas Eve at 12 noon! Edgewater Gold Radio – celebrating 17 years of playing you the best oldies! Getting A Pet Sitter or Boarding Your Pets Which is A Better Decision? If you’re going away, there is a big decision that you must make. This decision depends on your own circumstances. If you decide to hire a pet sitter make sure they are qualified. A previous blog posting outlines this process. Also the sitter should stay in your house while you’re gone. Pets especially dogs are social creatures and don’t do well if left alone for a long period of time. You can get away with the sitter coming over each day to feed your cat but I would still prefer the sitter to stay in the house. If you had the choice for a sitter to come each day and feed your dog or to take the dog to the sitter’s residence or a pet hotel, I would prefer the latter. It’s safer and your pet will surely get more attention. Make a good choice and have a great trip! It’s the holiday weekend! Spend it with Edgewater Gold Radio! 60s and 70s all weekend long, our classic disco show begins tonight at 7pm, lots of holiday music and the 36 hours of Christmas begins on Monday, at 12 noon! There are great reasons to keep Edgewater Gold Radio tuned in all weekend long. Listen from our website: edgewatergoldradio.com. add comment Comments Off on Getting A Pet Sitter or Boarding Your Pets Which is A Better Decision? One day, a customer raced into a hardware store in south western Wisconsin and told the manager that there was what sounded like a kitten yowling loudly inside of a pickup truck. The manager ran out to investigate and he heard the sound of the frantic kitten too. The sounds were coming from inside a wheel well. But the manager couldn’t see the kitten. The manager whose name was Bob ran back into the store and told a staff member to call the Humane Society and the police department. He asked another staff member to try to find the owner of the vehicle. Bob got his tools and crawled under the truck. He saw the kitten but could not get to him. Soon the animal control officer showed up, as did a patrolman. A television station crew showed up too alerted by a report on police radio scanner! Bob still worked hard and he finally freed the tiny kitten, pulled him out and handed him over to the animal control officer. The TV Crew interviewed them and the segment aired that afternoon and evening. 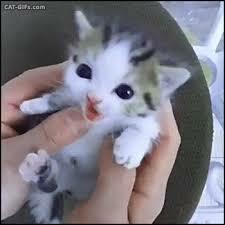 The kitten went to the Humane Society where it was examined and later adopted. I love this true story because we live in a world where cats are so often devalued, there are ordinary people who will urgently do everything in their power to save a helpless kitten. 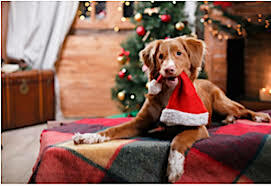 Remember, your pets count and have a Merry Christmas! Playing the best oldies and holiday music! Edgewater GOLD Radio! Join us for the 36 hours of Christmas beginning Monday, Christmas Eve at 12 noon! Download the free Edgewater Gold Radio app from your app store or listen from our website: Edgewatergoldradio.com. Go Away? Leaving Your Dog? Do your Homework on a Pet Sitter! The holidays are here and you’ve decided to take a long deserved vacation. You don’t want to board your furry friend and have decided to get a pet sitter to come to your home each day and take care of your pet. Pet Sitter International recommends that you do a thorough investigation of the pet sitter you are thinking of hiring. After all it’s your precious pet and personally I wouldn’t enjoy my vacation unless I knew that my pet was very well provided for while I was gone. Does the pet sitter have the proper business license for your city or state, if required? Rules and regulations vary regarding what is required to legally operate a business. If your city or state requires a business license, any professional pet sitter you use should have a valid business license. While pet sitters care for your pet at your home, some do offer limited in-their-home boarding. If so, ensure that they also have the proper authorization and license to offer this service as well. Is the pet sitter insured and bonded? Ask for proof of coverage. PSI members have access to group rates on policies specifically for petsitters and are provided insurance cards. Can the pet sitter provide proof of clear criminal history? Remember, the person you choose to hire will have access to your property and your beloved animal companion(s). Ask for third-party credentials that verify the sitter has a history of honesty and integrity. Official verification documents will contain a current date (within one year), a Social Security number trace, county-level court search results and the contact information of a reputable investigator. This documentation can provide the peace of mind you seek when admitting a new pet-care provider to your home. Does the pet sitter provide client references? PSI recommends that all of its members have a list of references for potential clients to contact. Some pet sitters also include testimonials on their company websites or on their PSI Locator profiles. Will the pet sitter use a pet-sitting services agreement or contract? A well-written contract outlines the details associated with each service the sitter will provide. 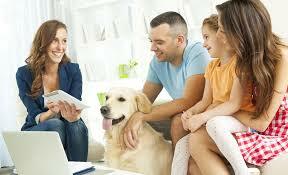 The contract includes all fees along with the expected amount of time that will be spent with your pet(s). This ensures that both you and your sitter have agreed on and understand the level of service being provided in your absence. Has the pet sitter completed PSI’s Certificate in Professional Pet Sitting Program and/or has he or she participated in pet-care training, such as pet first aid? Experience in caring for special needs pets or various types of pets is helpful if that is what you need. Pet sitters who have completed PSI’s Certificate in Professional Pet Sitting Program have the resources on hand to care for a wide variety of companion animal species. Is the pet sitter a member of a professional and educational association, such as Pet Sitters International? Membership in a professional association such as PSI demonstrates a pet sitter’s commitment to their profession and the industry at large. PSI members have access to the most up-to-date educational resources and business tools to help them provide the best possible service to clients and their pets. These questions will help you qualify a potential pet sitter. Don’t let just anyone come to your home to take care of your pet. You never know what you’ll find (or what you won’t find) when you get home! Spend you day with Edgewater Gold Radio! The best mix of oldies and holiday music! Download the free Edgewater Gold Radio app from your app store or listen from our website: Edgewatergoldradio.com. add comment Comments Off on Go Away? Leaving Your Dog? Do your Homework on a Pet Sitter!